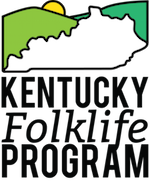 In addition to our ongoing Pioneer Log Cabin Concerts series, the Kentucky Folklife Program hosts a monthly jam. Join us for good songs and good fun. All levels are welcome. Although this is not a vocal jam, those who do not play an instrument are welcome to attend. Information for each month’s event can be found here. Jams will only be held during months falling within the academic school year. General jam etiquette will be followed; participants will take turns deciding what to play, but we will have a reference list of songs on hand. Please contact Folklife Specialist Virginia Siegel for additional information at (270) 745-4133. Directions to the cabin may be found here.